It’s 2017, the year of brand-building. We have been talking about brand building for last many years, but 2017 will turn out to be a game changer. Without a brand, you will never able to produce longer business benefits and will go downside sooner or later. That’s the bitter truth and whether you accept it not, it will happen. Nowadays, a company comes into existence in an overnight. All it needs a website, a logo, and tagline, and social media channels. Furthermore, your rival company got its share of fame after hiring some local influencer on Instagram with an insane following and already has given you a stiff competition, as your potential leads are calling them to get the product/service quotes. Since they are new and thinking themselves formidable, they are ready to work for low than the industry standard and clients who don’t have knowledge of the work level, prioritize them to handle their work because who doesn’t love to save? Now, what’s your next move? How will you co-operate with your rivals that are hurting your image? How? There’s a secret. But for no more, as the article will reveal it in a simpler way. The secret is to create a substance because no matter how many rivals come and offer services/products at cheaper rates, the substance will be yours to crown you as the market leader. There’s more to the business than you can imagine. Apple, Inc. makes expensive iPhones, yet they have sold more than a billion handsets till date. Why? Because they have the substance that no rival company has and it differentiates them from the rest. Their substance has earned them an avid following that’s hard to separate. There are many Android-based companies that offer similar or even better specifications than iPhones at much lesser pricing, but that hardly affect the customers who want only iPhones because of company’s substance and world-class branding. That’s the benefit of the branding. It does wonder for you. Did you know that company’s branding is its mind, body, and soul? These things define ethos to the clients/customers, employees and stakeholders. Consider brand as a ship that will guide through all the storms and will safely bring it to the shore. Without a brand, it’s like a traveler who’s lost in Sahara without having knowledge of astronomy to find the direction or doesn’t have any map to find the way. 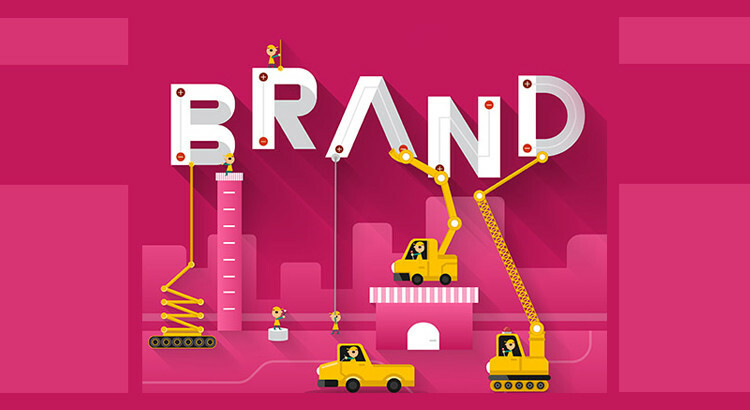 Let’s talk about why branding is so important and how you can do it your company. 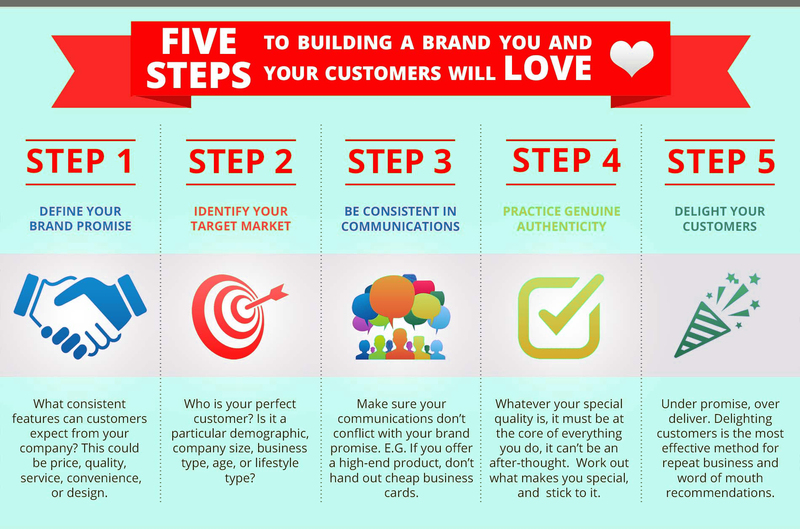 You can’t remain hidden behind the rock and expect to have a great brand building. No, it just can’t happen. You have to come out in the world, meet people, and face different challenges to have a trusted name in the market. If it takes the time to do market you, do it. Do shameless marketing because people need to see you before trusting you. People don’t like to trust the company’s names only. They like to trust people who are behind the company. Consider the example of world’s top CEOs and founders: Mark Zuckerberg, Jeff Bezos, Bill Gates, Late Steve Jobs, Satya Nandela, and Sundar Pichai. They often come and address the communities, and speak at different events. They are socially active on different social media platforms and understand the importance to staying visible to maintain the trust of their avid fan following and to add new names to their ever-growing followers’ list. Start signing up on different social media channels and interact with your industry audience. Let them know that you want to hear their thoughts and are readily available to help them out in any kind of matter related to your offerings. Influence others with your industry knowledge and remain accessible for people to reach you easily. Ask yourself, how it feels when someone turns out to be completely different in real life than they showed on social media? You will lose all your trust and will be bothered to listen or care that person ever again. This happens frequently and many young entrepreneurs commit this blunder and earn hatred, instead of praise, love, and support of their audience. It’s good if you promote your company every now and then. Every entrepreneur does it, but they don’t promote it directly. They talk about the current working operations of their company and how they are benefitting the humankind. When you show your organization socially responsible and contribute to the service of the weak part of the society, people trust you more and interact with your posts. If you don’t know how to do this, consider donating some amount every 6 months to an orphanage or old age home and invite your company members to spend the day with the less fortunate and done clothes, things they don’t use anymore. These are the social responsibilities that create a company’s name in the market. Don’t use your account 100% to market the products only. Study the social accounts of Mark Zuckerberg, Bill Gates, Melinda Gates etc. who do charitable work and remain socially active physically in different parts of the world and later on shares it with their followers on their social media handles. Note: Don’t over excited with your account and start sharing your daily routine, like what you do, where you are going. No one is interested if you keep posting them on a daily basis. Everything looks better when you do it in a limit. Whether the negative comments are coming from your brand’s social media accounts or on yours, consider them as an opportunity and connect with the people that don’t think alike and with those people who weren’t happy with your service. Deliberately ask them their thoughts and offer them help to correct the mistakes. Be completely modest and humble. Don’t yell on your haters. It will create tensions and you will lose support, instead of gaining. The best way to defeat your enemies’ is to befriend them. Similarly, the best to earn positive views is to win the trust and loyalty of negative reviewers. Assist them in their trouble and offer them social packages’ or offer them to replace their product if in case they got damaged or the product stopped working after a short while. Without knowing the facts of your industry, you simply can’t influence others. To have an upper hand, you need to have all the industry knowledge before you start stating facts. This also means, to stay updated with every latest update and what’s happening in your industry. What new innovation has been done and what are potential marketing cap in the future. Moreover, if you read the history: how the industry shaped the industry and what are the turning events for the industry, these facts will truly help you in educating the people in an event that you are speaking at. You have to do a lot of work to position yourself as a thought leader in your industry. Just like every romantic relation, networking is also like give and take. You can’t be selfish and focus on your old wants and expect to have better results at the end of the day. A lot of industry newcomers fail to understand this part and they think people are influenced with their glamor and will readily help them in their endeavors. They, however, get disappointed when they get no help or a very little help than they expected. Successful managers and entrepreneurs benefit their networking people, too, before asking their favor. It creates trust factor and the other person happily helps, knowing that you have got his back when he needs someone. The 2-way approach will help you to do better networking, and solidify your business relations that can unlock much life changing doors for you and for your business. You will need to maintain your contact list, as your personal brand grows. Don’t mistake to lose all your contacts because you would kick yourself in back when you need them. List all the details of the person: where you met him, what does he do, where he works and what are his expertise areas. These things will help you to skin all the information when you want assistance, instead of pressuring your brain to remember what certain person does and where you met him. When you know where met someone, you can talk in such sense that it won’t make you feel nervous even if it’s the first time you talking for the first time since your first meeting many months ago. When your audience starts looking at you for the industry information, you know you have a trusted and reliable brand among people. For instance, Moz gives best SEO related knowledge and they even provide constancy to many big companies around the globe. A lot of digital marketers read Moz’s blogs to stay update on search engine’s updates and to have new ideas to incorporate in their marketing efforts to produce effective results. Coming to your business, the best thing is to share the latest news, current happenings in the industry on your website and share it on your social media accounts. In addition, time-to-time, write in-depth articles with infographics, images, and videos to bitterly present your information to readers to properly digest. Knowing content is crucial to leverage the real power of branding, it’s advisable to use it as your weapon and acknowledge the opportunities to unleash it. This habit will bring more people to you and even give you word-of-mouth marketing benefit. Every company has a proposition that differentiates it from the rest. Apple focuses on iPhones and they contribute 70% of company’s revenue from the gadgets. Apple doesn’t care to launch loads of models in the market because they know their audience, and they know their proposition is enough to sell their few models per year. On the other hand, Google is the king of search engines and it knows the value of its propositions and has developed many different applications like Gmail, Google Maps, Google My Business, Google Drive etc. that no one else has to offer in an enthralling way like Google does. As talked earlier in the article, doing social activities’ creates your positive image among the people. Some people would suggest calling the press reporters if you are doing some genuine work to motivate others and to spread the message about your business without actually shamelessly promoting. Imagine you are running a web design agency. What you can do here is to simply conduct a free event where you can guide the college students from your city to come and have career advice, or learn some basic programming for free for a week. This is also a form of event and when reporters are there, they write for you, earning you strong backlinks from major news websites and also giving you a chance to get viral on social media when the media houses will post on their media handles. These kinds of techniques, however, need proper planning to execute perfectly. Now you can’t afford to be careless here and contact media outlet that writes on fashion, and not on web development (your niche). List all the media houses in your category, locally and nationally and call them to offer them to cover your event to have good news on their page. Ask them for space on their website and in their print edition because you are doing a good charity program, or you have achieved something that no one in the town has every achieved. Moreover, making personal and business connections with the media houses benefit your business long time because it will be easy to reach a reporter and to get story covered or give backlinks every now and them on new articles produced on their portals. Media people notice every little thing when they interview or attend any event. Hence, watch lots of media news and events and see how the speaker handles media and answer their questions in a deliberate fashion. If you are doing it for the first time, do it with full confidence and let your wisdom and industry achievements shine through your words and body language. Often communication is done through the voice of tone and body language. Learn to bring them under your control and remain cool while addressing any negative question asked by any journo.